Elder Scrolls 6 Release Date, Locations, News: The fifth game in the franchise Elder Scrolls: The Skyrim was launched almost seven years ago. Since then, there has been no confirmed update till date. Fans have been asking for the same, but it is not going to release anytime soon. But, at E3 2018, the studio confirmed that it is in works. 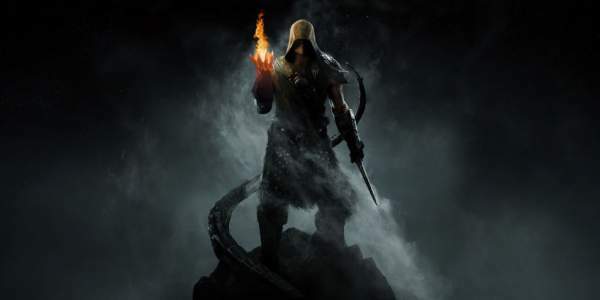 Even though the American Gaming giant has come up with no official announcements till now, rumors are ripe that it may unveil the 6th edition of the action role-playing open world fantasy video game which came up in 1994 with the inception of The ElderScrolls: Arena, at nowhere else but the upcoming E3 2021. Elder Scrolls 6 Release Date: When Is It Coming Out? 1 Elder Scrolls 6 Release Date: When Is It Coming Out? Bethesda boss Todd Howard revealed at E3 2016 that the Elder Scrolls6 is a long way off although they are working on it. As of now, they are busy with seven other projects and none of them is about ES6. A month later, Pete Hines said that they aren’t working on it at all yet, but it will be real one day. Reports say that Bethesda has been increasing their workforce by a significant number eventually to cope up with other big franchise like EA which comes out with an installment every year. Considering all factors and pending games, it looks like we aren’t going to see it until 2019 as other leaks and rumors stated. Howard said that they are currently busy with Starfield which is entitled as a next-generation game. They will be working on ES6 after it launches. So, don’t get your hopes high and expect the upcoming sequel until 2021 at the earliest. Nearly all the games of ES series have been presented in different areas of the Tamriel world. So far, the makers have used High Rock and Hammerfell provinces, the Island of Vvardenfell, Cyrodil, and Skyrim. So, what is left excluding the used ones? Keeping The ElderScrolls: Arena map, we found Valendwood, Elsweyr and Black Marsh aka Argonia which the game company hasn’t utilized yet. So, the location of the coming game could be any of the above or Morrowind too as it hasn’t been featured on any of that province’s mainland area. However, there are rare chances that Elder Scrolls 6 title would be Skyrim 2, setting the story linked to the previous game. But, we have a high doubt on it, though. Some reports mentioned the new Project Greenheart to be the codename for ES6 as Greenheart is a city in Valenwood. Bethesda dropped a surprising trailer at E3 2018. Here is the first link to the game sequel. Bethesda has suggested that there will be one big and new feature, at least, in the new game. It could be a house-building or even town building. Hearthfire, a new feature of Skyrim, is the reason for such speculations. In Skyrim, the gamers can own and customize far more houses in the world. It was a naff expansion for just £5. Let’s see Bethesda is planning for the gaming freaks. A new game engine is highly appreciated, but let’s see if the developing company utilizes one or not. It’s due for sure. Oblivion and Fallout 3 used a third party game engine known as Gamebryo. But, after their release, Bethesda came up with its own Creation engine which is utilized in Skyrim and Fallout 4. It’s the need of the hour to make a generational shift in the tools. It looks like Bethesda will use an improved version of Creation which was used for the Fallout 4 and Skyrim development. When the Career tab of the Bethesda’s parent company Zenimax Studios’ website got a listing that these guys are looking for someone who has worked with the development of an online multiplayer game, it straightway sparked the talk in the town that it’s time for the most anticipated Elder Scrolls 6. Having a look at the job requirements of the release one can easily make out that one should expect to find the multiplayer option, taking the whole gaming experience to a whole new level. But recently launched AAA title “Fallout 4” having the same configurations, one may hope for a built-in co-op mode, or perhaps a competitive multiplayer, Game Ranx reported. And not to forget the recent official announcement that the company is currently working on three big games, one of which is designed for mobile platforms. So one of these can very well be our guy in the talk. So, one can hope for the best to come up in June when the company shows up at Electronic Entertainment Expo aka E3 with its planned releases of VR version for ‘Fallout 4’ and ‘Doom’, ‘Prey’, ‘Wolfenstein: The New Colossus’ and ‘Evil Within 2’. And not to forget, stay tuned to TheReporterTimes for elder scrolls 6 release date, latest gaming news and updates.